Education and Employment: Harold’s date of birth is uncertain; we have only the fact he was in Form III of Taunton’s School in December 1908, which suggests he was born around 1895. His “very good work” in Art was mentioned in the same journal. Life during the war: Harold first swerved with the 59th Hussars. In late 1917 he transferred to the Royal Field Artillery. 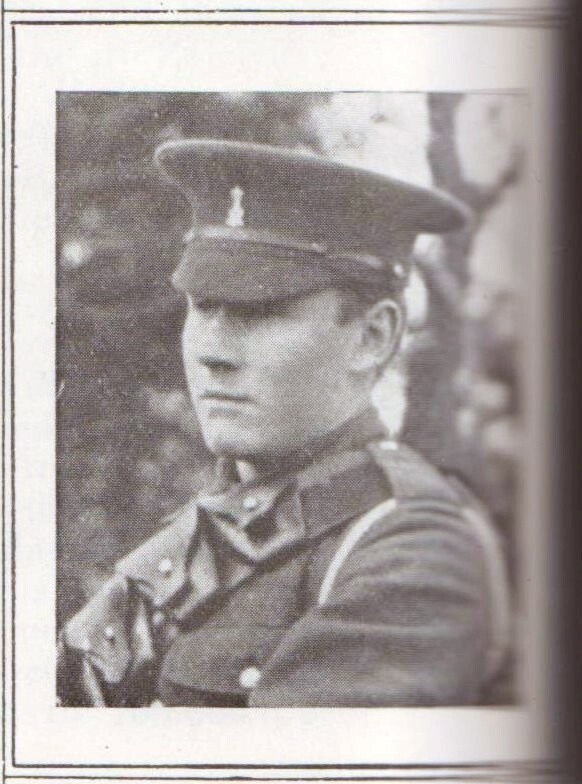 He was reported as missing by July 1918 and in 1919, Taunton’s School Journal published his photograph with the comment that his death had been referred to “in a previous issue of the journal”. We cannot be certain when he died or where he is buried, only that he is remembered here in the Taunton’s War Memorial. Harold died at some time during 1918. Harold is Remembered with Honour on the Southampton Cenotaph and Memorial Wall. Note: Unfortunately we were unable to source any service or personal records for Harold and can only publish the above information with the kind permission of Richard Taunton’s College.